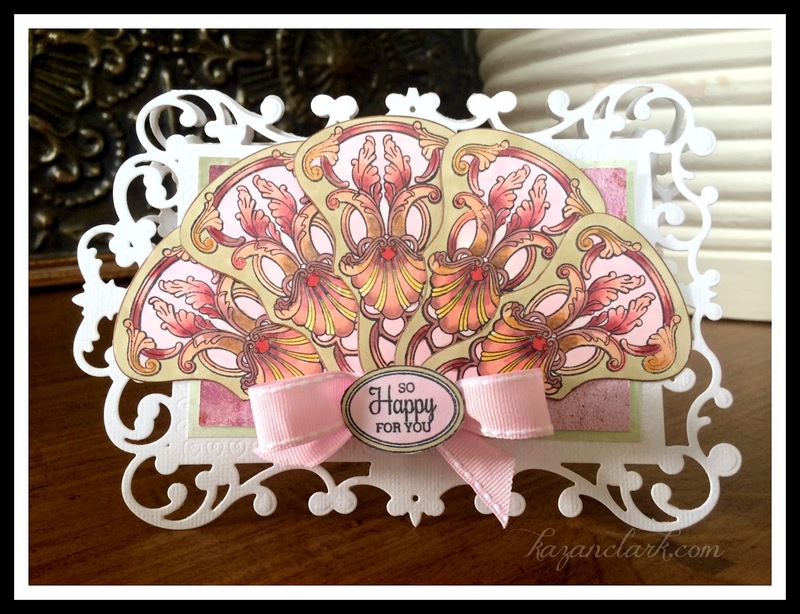 This gorgeous fan die set and matching stamp set is so much fun to work with - and so unique too! 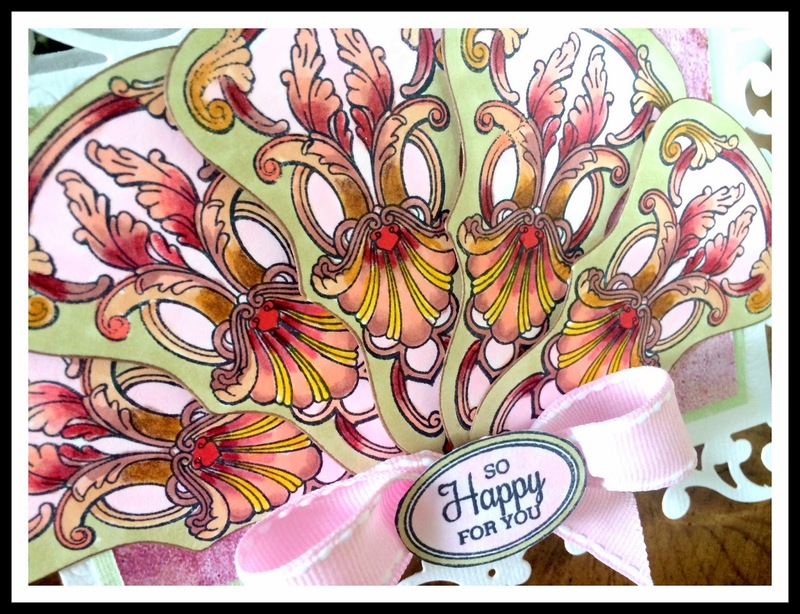 I have always loved vintage style fans..my uncle use to give them to us as little girls when he traveled overseas so making a card with the paper craft version was right up my ally! I colored the images with Copic markers and added details with Spectrum Noir Pencils. I made a shaped card base using Spellbinders Reflective Moments die set. 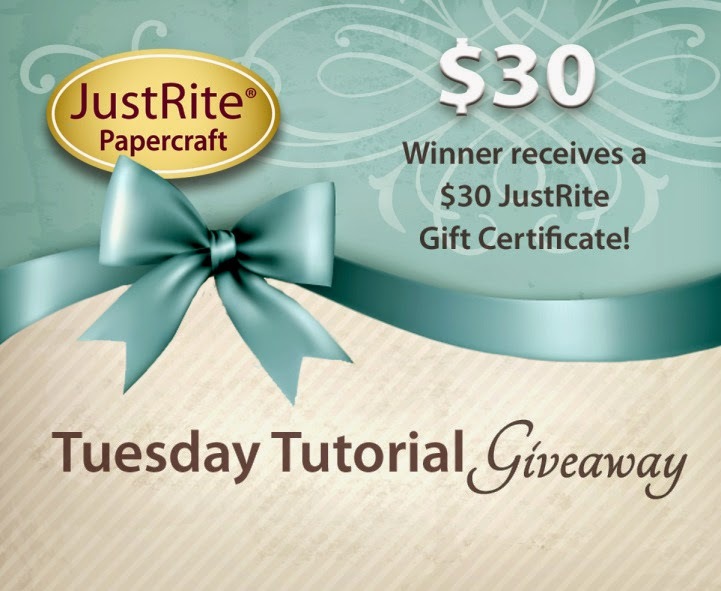 Simply answer today's two giveaway questions on the JustRite blog post or on Darsie's Video. How many Birthday Cards do you make each year? How many Christmas Cards do your make each year? Remember that you can double your chances of winning by leaving comments on the JustRite Blog and on Darsie's Video. 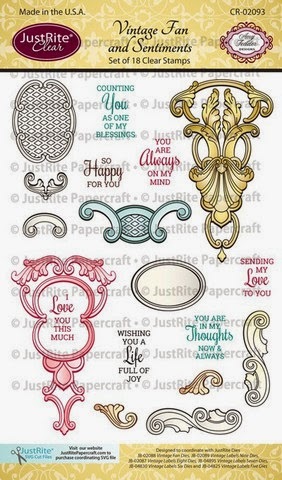 This is such a beautiful set with so many intricate stamping details. Take a peek at the Design Team's projects - they are gorgeous! I will have another project for you tomorrow. Thanks for stopping by today. Good luck with winning too! Lovely! Kazan, this card is absolutely stunning! I'm definitely going to have to find that stamp! I really love this stamp ,and your colors used are just gorgeous.